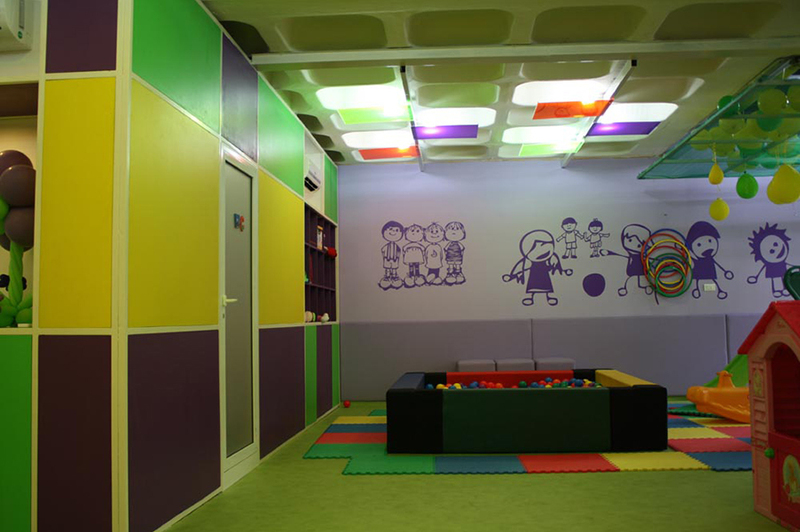 Conceived as a spatial interpretation of its graphic identity, the CB kids club features an array of colors, materials and shapes that seeks to create a custom designed toy-like environment for children. 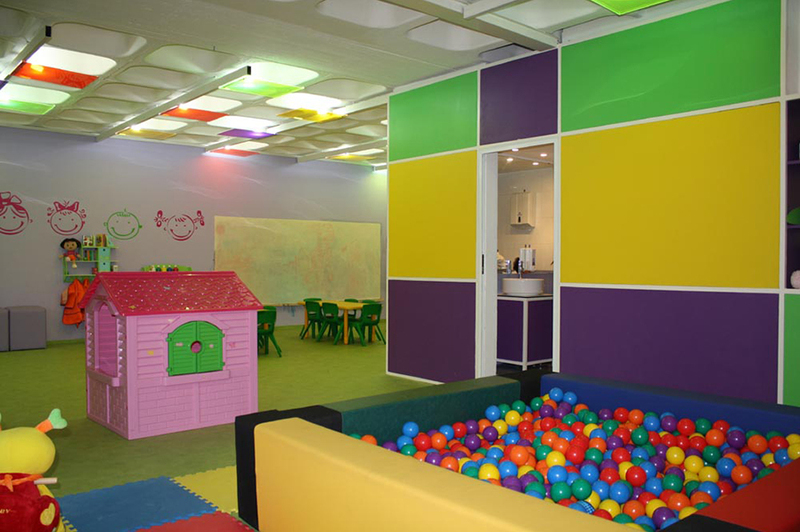 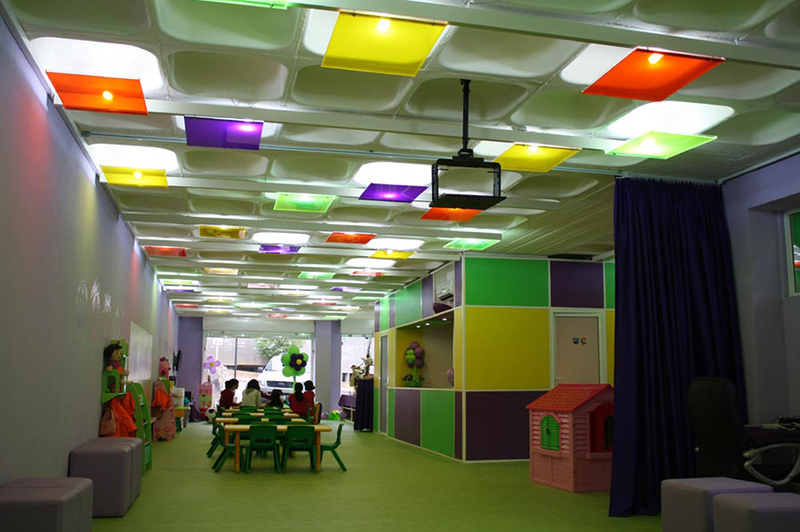 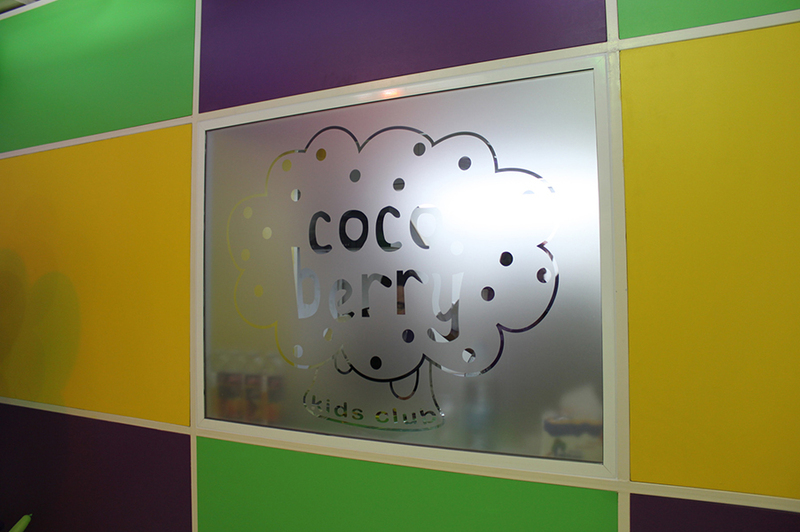 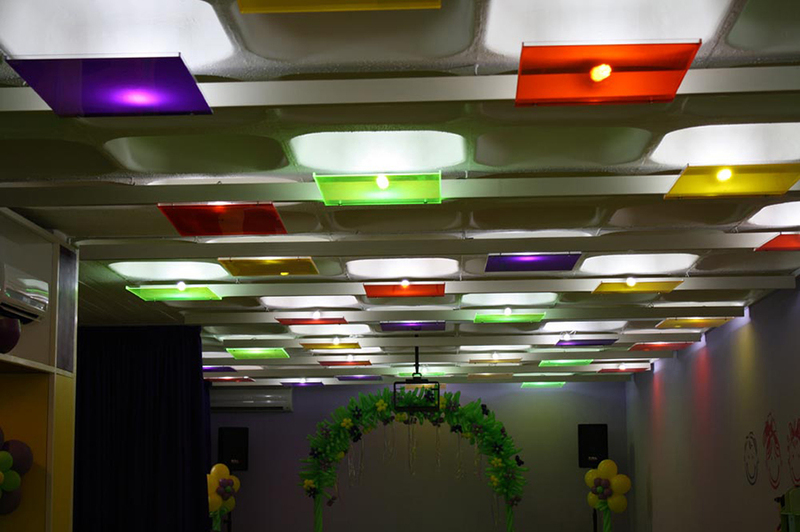 Read through its plexiglass ceiling, painted wall panelings, colorful furniture and floor, the space enhances an atmosphere of playfulness and fun that is used for a variety of programs that include birthday parties, after-school activities and play-place. 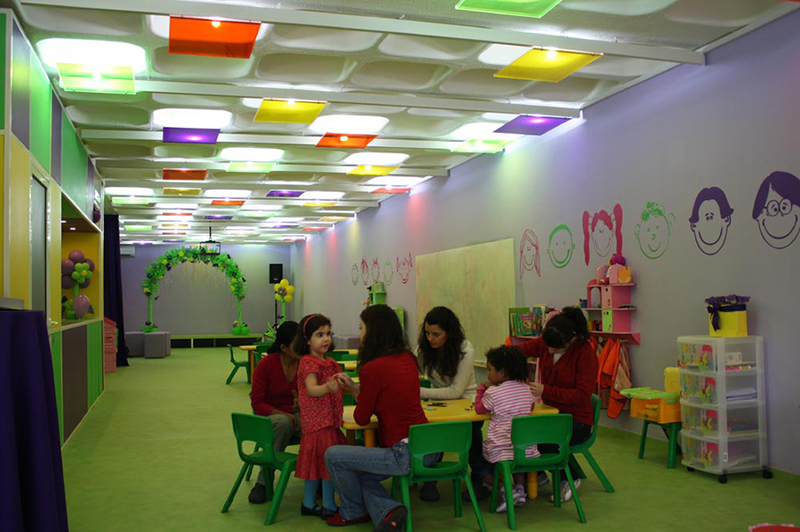 The outdoor facade, clad in light green fabric signals the project on the highway in a gesture that is at once evanescent and subtly iconic.